now that you have a weapon, it is time to think about armour, on this you and jemenoth agree. 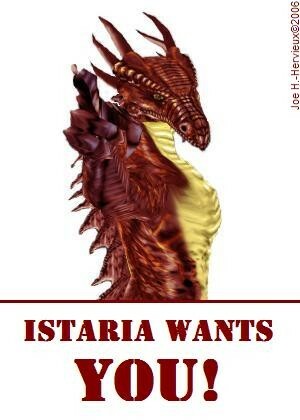 so off you go on your next quest - creating a dragon scale, specifically a chest scale. 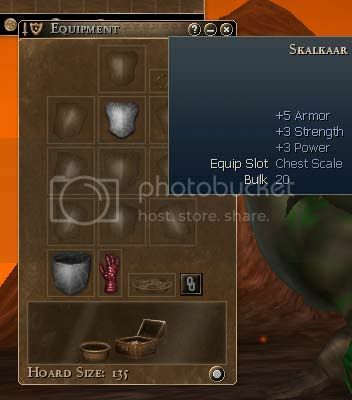 like biped armour, you get another scale slot every 10 advent levels. like your claws, scales can be teched and/or socketted. 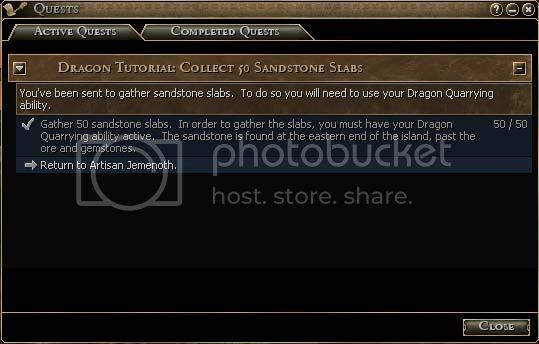 in order to craft a new scale, jemenoth tells you to gather some sandstone slabs. checking your journal will give you the instructions you need. 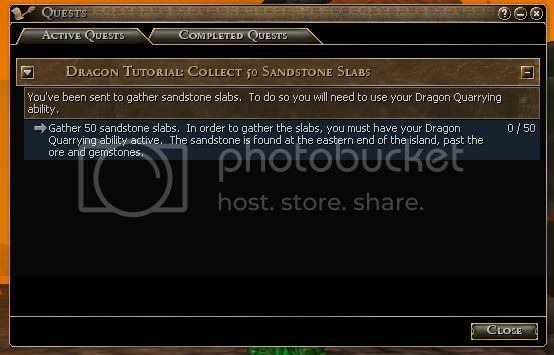 head for the stone field, past the gem field, and collect slabs using your dragon quarrying ability, until you have the needed amount. 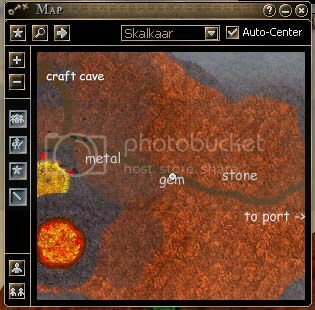 return to jemenoth as instructed in your journal update. 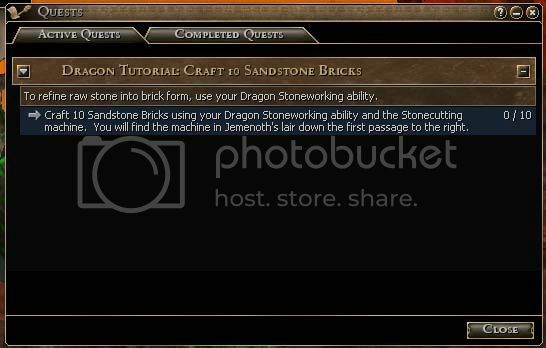 create bricks with your formula and the dragon stonecutting ability in combination with the stone cutter pedestal. return to jemenoth for further instructions. 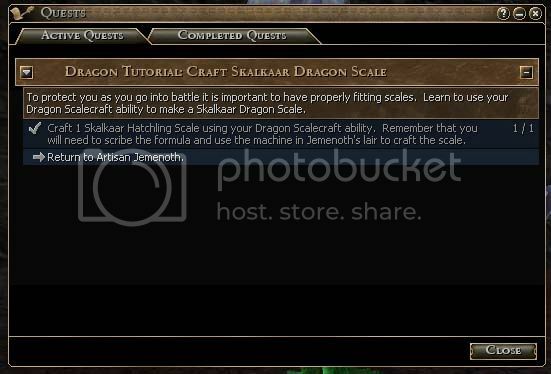 jemenoth will instruct you to create a scale, using the dragon forge and the formula provided. 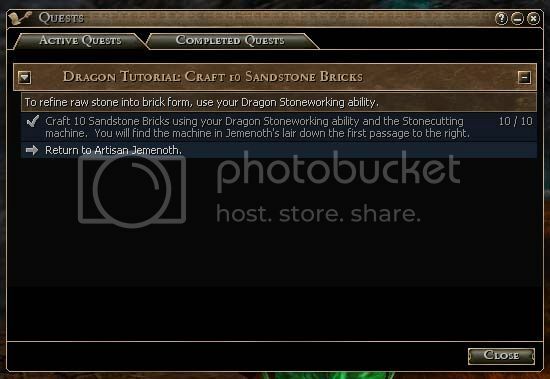 head back to the forge you used to create your claw, scribe the formula, and create the scale using your dragon scalecraft ability. return when you have created the scale. 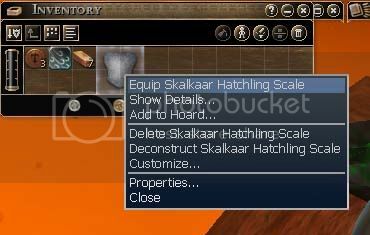 before you embark on the next quest, it is wise to equip your new scale, as there will be battle afoot! next time, you learn your first spell! see ya soon!